Providing residential DJ’s and catering for weddings, parties and venue entertainment. 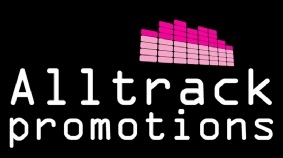 Alltrack Promotions can supply you with our DJ’s along with our discos for your venue. 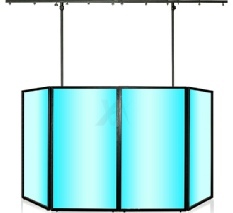 We offer competitive prices, reliable and professional smart dressed DJ’s and a high level of customer service. We can be contacted 24 hours a day by email or on 0800 024 8658 and our DJ services are available 7 days a week, subject to booking availability. We can cater for all events, from weddings to corporate events and from parties, dinner dances to general entertainment for the general public. 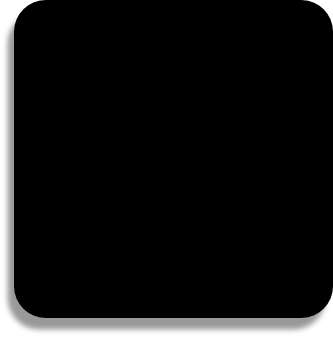 Alltrack Promotions goes over every detail with the customer prior to their party and will send them a DJ Information form and Song List with their booking confirmation. This will enable them to specify which songs or genre they require and help create their playlist. The DJ Information form will also inform us of the evenings agenda, whether they have a band/artist playing and with any speeches or presentations to take place. We work in conjunction with the venue and the customer agenda to make sure the event and entertainment runs as schedule. We play suitable background music during the sitting down of any meals, until it’s time for, party time! Our DJs will create a tidy, yet effective show for the event and will cater for all music genres, from the 50's through to current chart music. Having been involved with literally 100’s of party celebrations, Alltrack Promotions has what it takes to turn the night into a true celebration, with great music and lights we'll have the dance floor rocking. 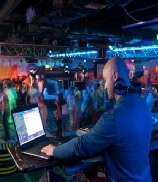 Our DJ’s are highly professional in their performance and will come dressed for the occasion. Our DJ’s have a good knowledge of music, reading a crowd and will take music requests and accommodate any playlist. Our DJ’s will keep you entertained, with great music, sound and with intelligent lighting for that perfect party atmosphere. 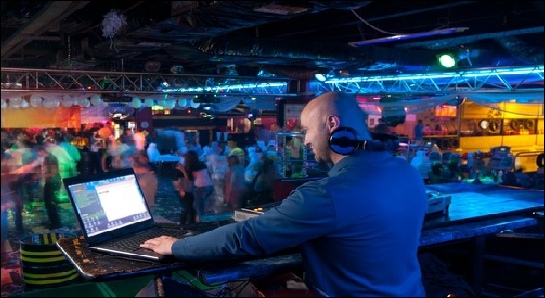 Most venues insists that the DJ has full public liability insurance and that the equipment they are using has been PAT tested. You can be reinsured that Alltrack Promotions Ltd has this in place, all the company DJ’s are covered, just click links below to see proof and print out, our independent DJ’s certificates are available upon requests. From smart casual to suits for weddings and black tie for corporate. Our DJs will follow a dress cord. For peace of mind we have full Public Liability Insurance in place for each of our DJ’s. We offer a high level of customer service and have over 20 years of experience in delivering state-of-the-art disco entertainment. We have catered for 100’s of party celebrations throughout the years and are confident that we can deliver the right disco package, at the right price,. All our equipment is of the highest quality and PAT tested for safety and reliability. We like to introduce our Silver DJ Package, this package is our most popular package with extra light effects and fog/haze machine to create a better light show and party atmosphere! This package does include some of our most popular optional DJ extras. *Prices for our packages are subject to seasonal variation, Bank/Public Holidays, Christmas Eve/Boxing Day and New Years Eve please contact us. Prices may incur travel costs which we will notify you of, an early setup fee will be charged if you require the equipment to be setup more than 2 hours prior to the start time of the disco, although this cannot be guaranteed. Continuation service is £50.00 per hr and is subject to agreement with the DJ on the night, but cannot be guaranteed.